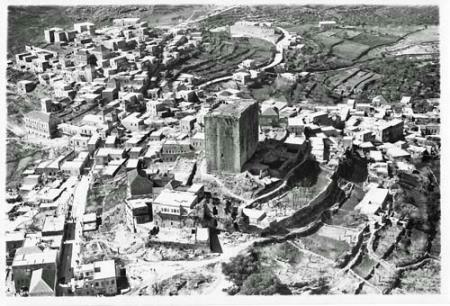 A 1930`s aerial photograph of Chastel Blanc (Arabic: ??? ???????. Burj Safita or Safita Tower) which was built by the Knights Templar during the Crusades upon prior fortifications.